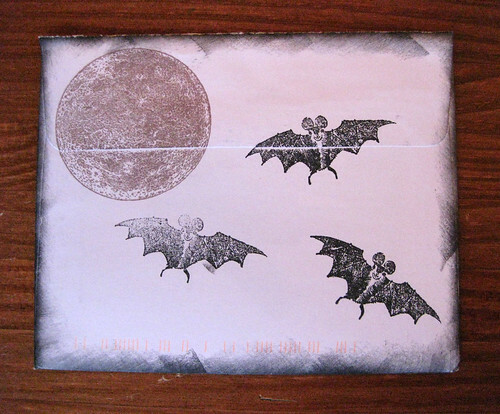 Another batty decorated envelope from a fellow bat aficionado, who is far more artistically capable than I. She has wonderful rubber stamps, especially of bats, and makes these beautiful art pieces of her envelopes and sometimes cards. Yay bats! Yep, I'm pretty sure the moon is a stamp, too.